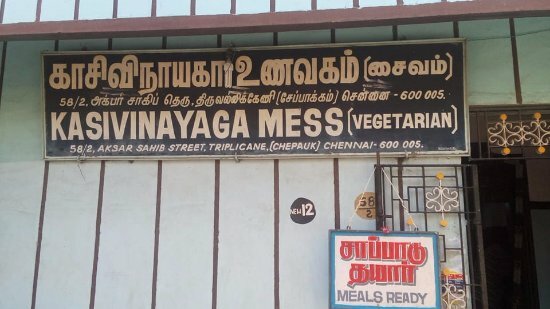 Authentic South Indian Food is available here (pure vegetarian) with very good service and taste as well. very well maintained. The place serves original south indian food at an affordable cost. The taste is good. Food is served on a banana leaf. Get quick answers from Kasi Vinayaga Mess staff and past visitors.